The South African Young Water Professionals (YWP-ZA) Programme is focused on bringing people working in or interested in the water sector together in a meaningful way. YWP-ZA is a network of people who are passionate about all aspects of water and its intrinsic linkages to people, economies, development, nature, dignity and life itself. As a committee, we are particularly passionate about helping people in the earlier stages of their studies and careers to find their “professional home” in the South African water sector, understand and explore the challenges and opportunities of the sector, build the skills they need to be influential contributors to the sector and develop meaningful networks that will provide the insight, support, access and opportunities needed to build exciting, meaningful and challenging careers. The YWP is an international initiative spear-headed by the International Water Association (IWA). In South Africa the YWP is in partnership with the Water Institute of South Africa (WISA). WISA is a volunteer organization representing the professional water industry in Southern Africa. Achieving distinction (excellence and greatness) by connecting (linking and trans-disciplinary networking) all YWPs striving for personal and professional evolution (growth). 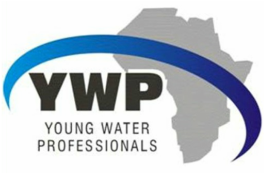 The aim of the YWP program is to contribute the present and future needs of the water sector in South Africa, an aim which requires the continuous development of a workforce which is adequate in size, capable in skills and strong in leadership. YWPs are the future of the water sector, and therefore the future of socio-economic development and environmental sustainability. Addressing the needs of the country, we also started a scholars’ membership base to get the youth excited about working in the water sector. Without water, no other industry can function; without water, no plant or animal life can survive. to provide career development opportunities for YWPs. YWP runs many initiatives and programs on a regular basis as well as partnering with other initiatives to increase the overall impact of the program. These may be National YWP or Provincial events and workshops. To be a member of the YWP-ZA you must be a WISA or IWA member - you don't have to join both (see the Join page). For more information on how we operate, check out our recently regenerated constitution!